ATLANTA - Anthony Edwards‍ is preparing for what happens after games. Not questions from the media or attention from adoring fans or college coaches. 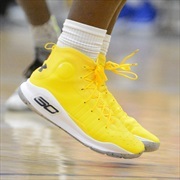 But for how he will get home without the shoes he wears on the basketball court. For some time now, Edwards has been asked for and has given away the shoes he’s competed in to young fans who come see him play. The first time came in November. 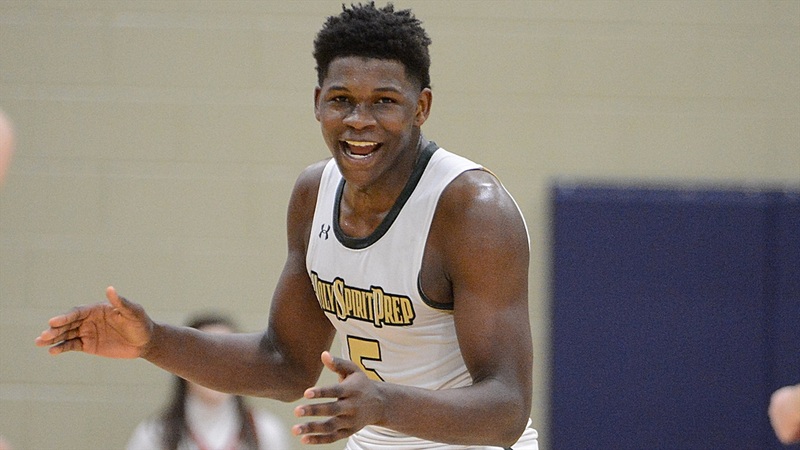 Seventy-two hours and another pair of shoes later, after Holy Sprit Prep’s 80-79 overtime loss in the region championship game, the question is whose shoes will Edwards be wearing this time a year form now: Florida State, Kentucky or suddenly-surging Georgia? A major NBA prospect from Atlanta hasn’t picked the Bulldogs since James Banks in 1980. Edwards is expected to pick the Bulldogs in what could be a program-changing moment for UGA coach Tom Crean. 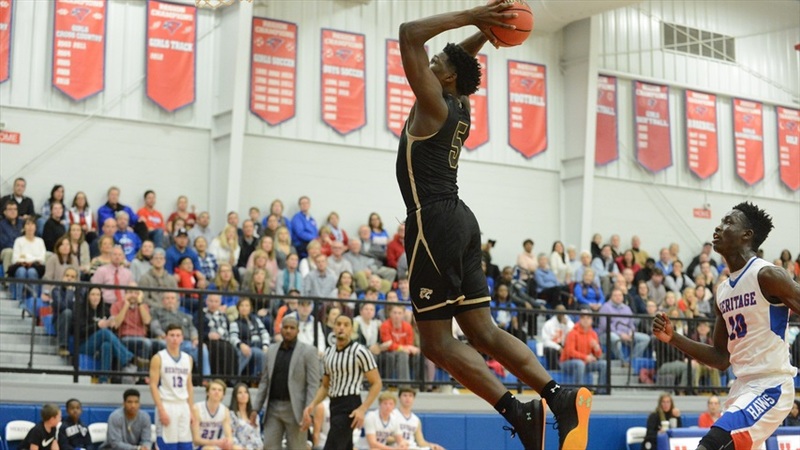 Considered the top prospect for the 2020 NBA Draft, Edwards has the explosiveness in the ballpark of Duke phenom Zion Williamson, but he perhaps has a more developed perimeter game. Edwards can create his own shot and get to the bucket with little effort. His exciting brand of basketball hasn’t been seen in Athens since earlier this century - or even last century - when Jumaine Jones exploded onto the scene for two years at Georgia before being selected in the first round of the 1999 NBA Draft. 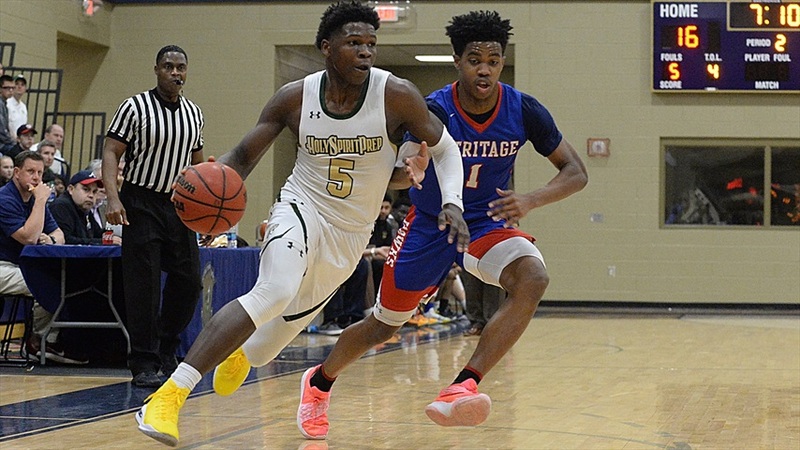 Edwards is the highest-ranked basketball recruit to come out of Georgia since No. 1 overall prospect Derrick Favors signed with Georgia Tech a decade ago. Favors played one season at Tech before being taken No. 3 overall by the New Jersey Nets. That is likely the path for Edwards as well. No one would say it on the record, but the plan for Edwards is to play one season of college basketball and depart for the NBA. Professional scouts and college coaches agree that Edwards is the real deal. The sky is the limit for the Atlanta native. “He is ‘the’ surest thing,” one college coach told Dawg Post on the condition of not using his name for fear of violating NCAA bylaws. That’s probably why the post-game rush to get near and be around Edwards has grown this winter. The learning curve of accepting or dealing with this much attention for a teenager, needless to say, is abnormal. Edwards is spending his formative years of high school with the tremendous spotlight that goes along with being projected as a future superstar. In 2014, Edwards took the bold step of writing: “Future McDonald’s All-American” on the wall at his home. He accomplished that goal in January and will play in the well-recognized high school all-star game this March at State Farm Arena in Atlanta. That wouldn’t be anything new for Edwards, who is considered by ESPN as the No. 5 overall prospect in the 2019 class. Rivals and 247 consider him the No. 2 overall prospect in this class. Keep in mind that Edwards skipped his junior year in order to graduate early. He should play in college in 2020-21 and leave for the NBA in 2021. But with a resume like that the attention isn’t going anywhere. The question that remains is how Edwards will take his shot changing the world. It will likely be one shoe at a time.